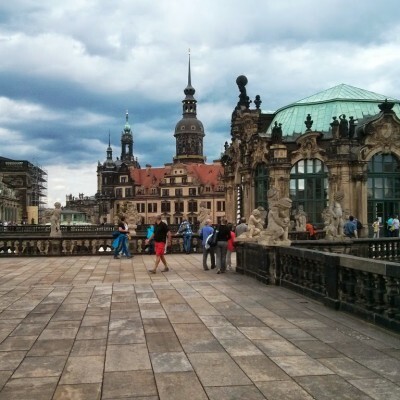 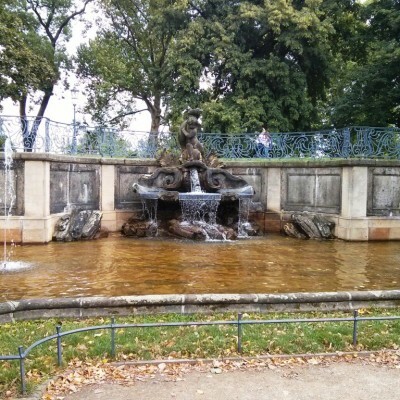 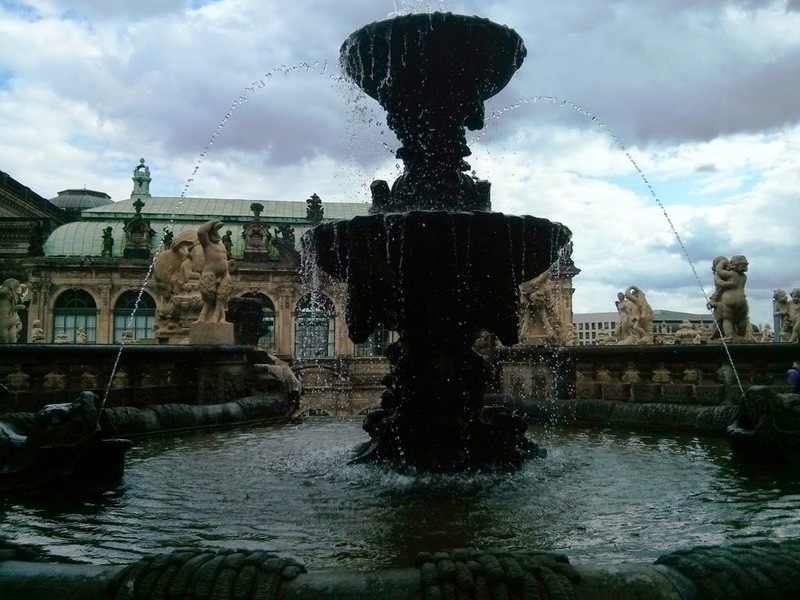 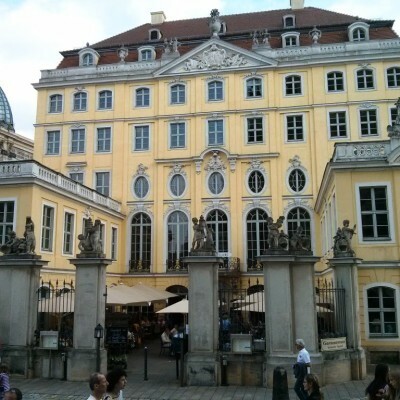 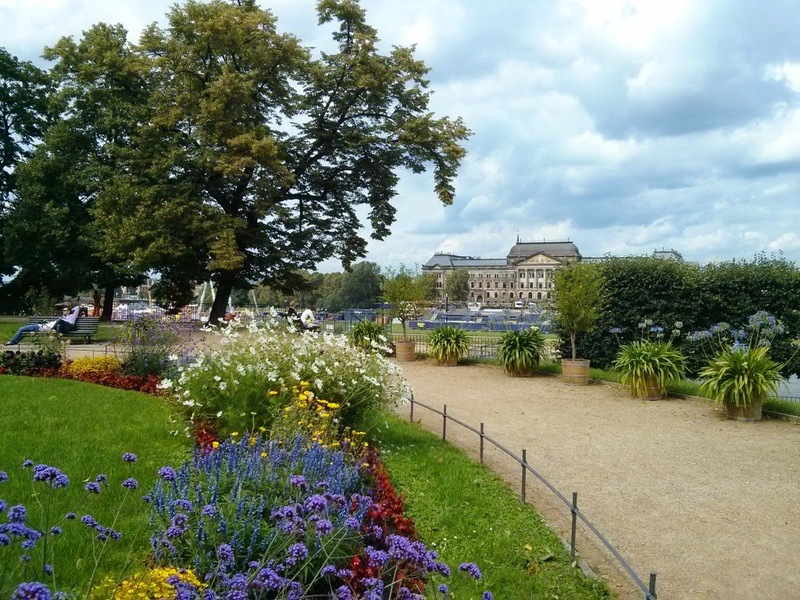 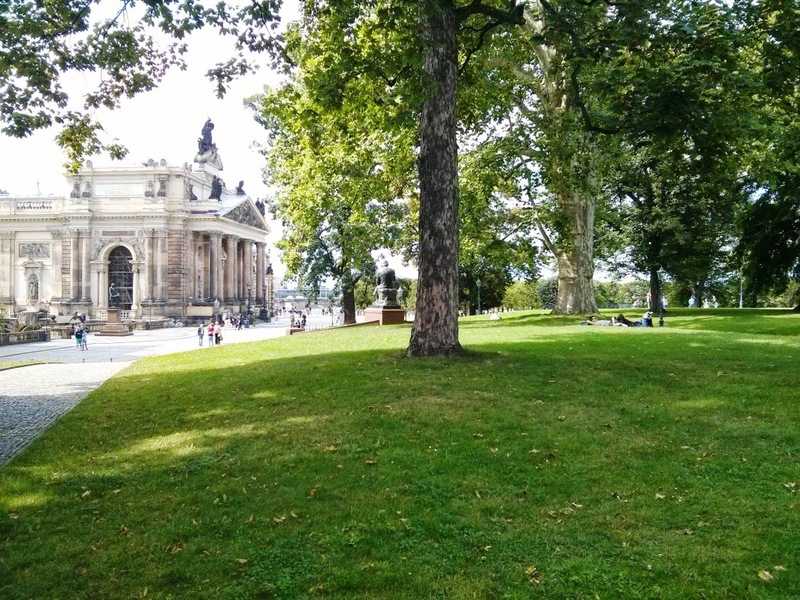 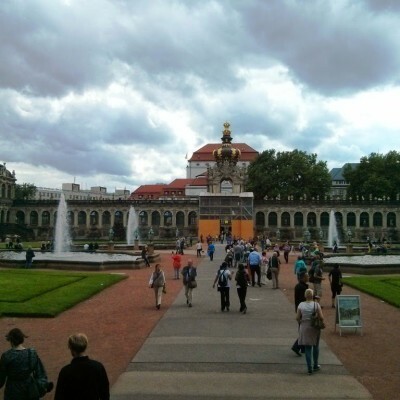 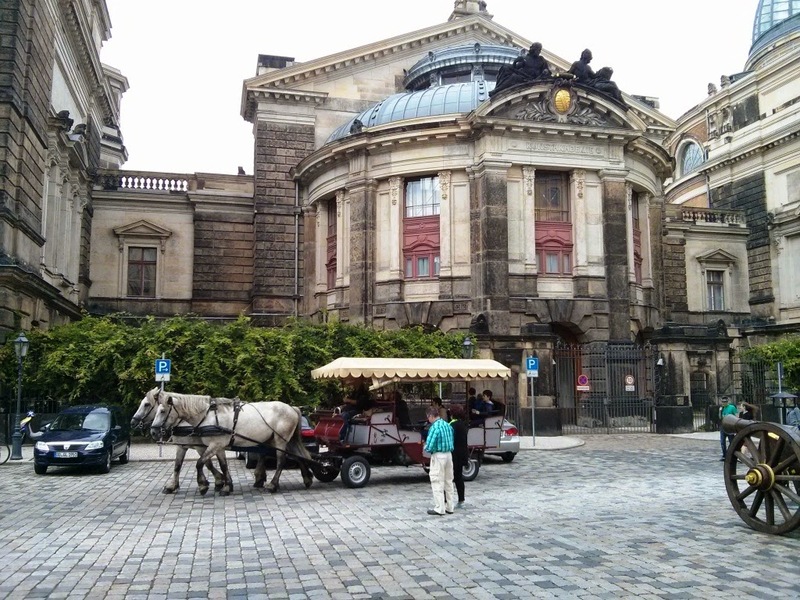 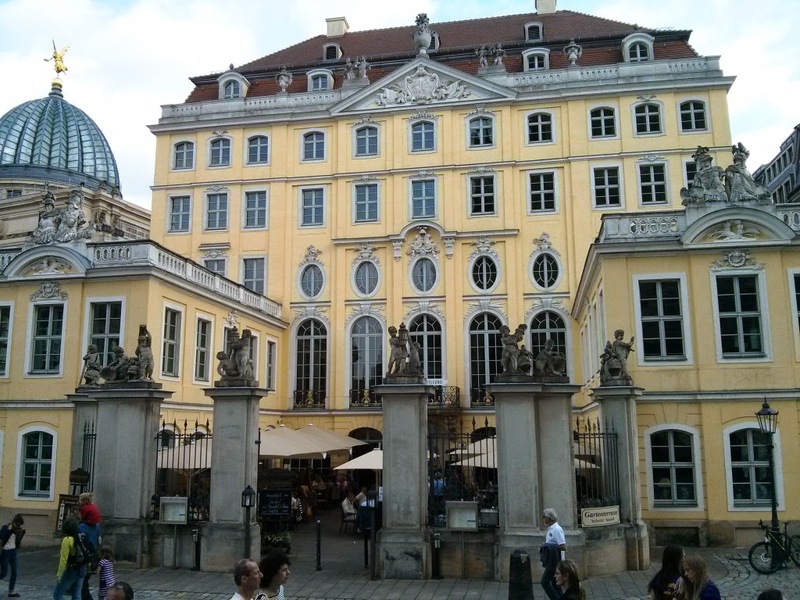 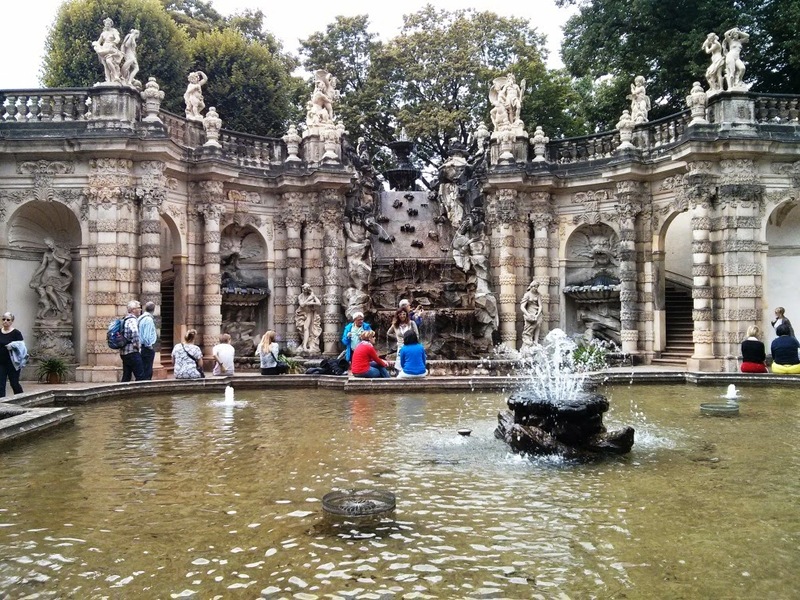 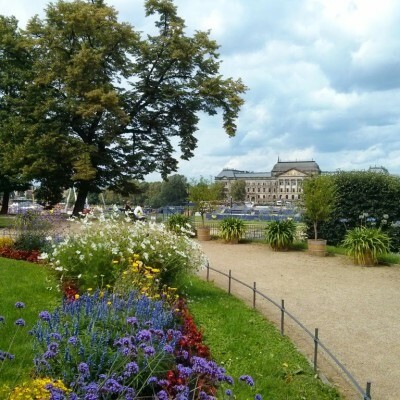 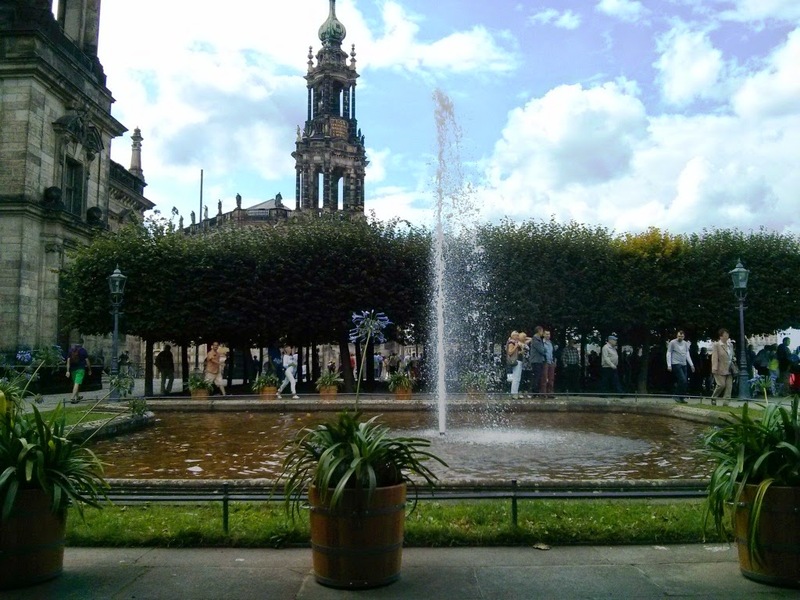 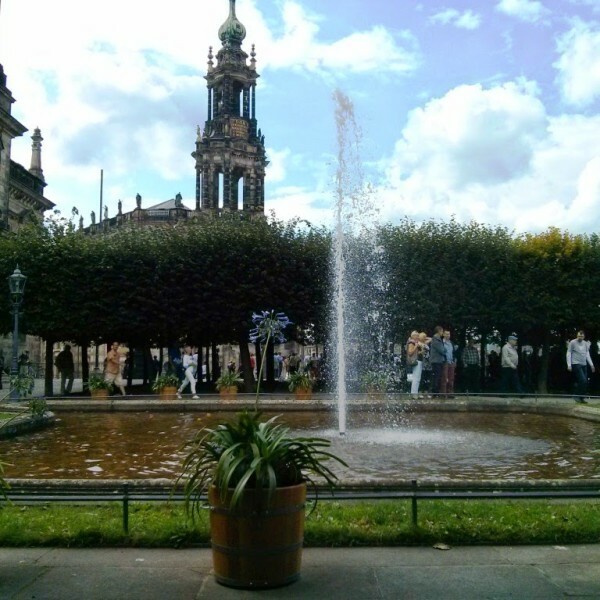 The city of Dresden can charm you once you visit it. 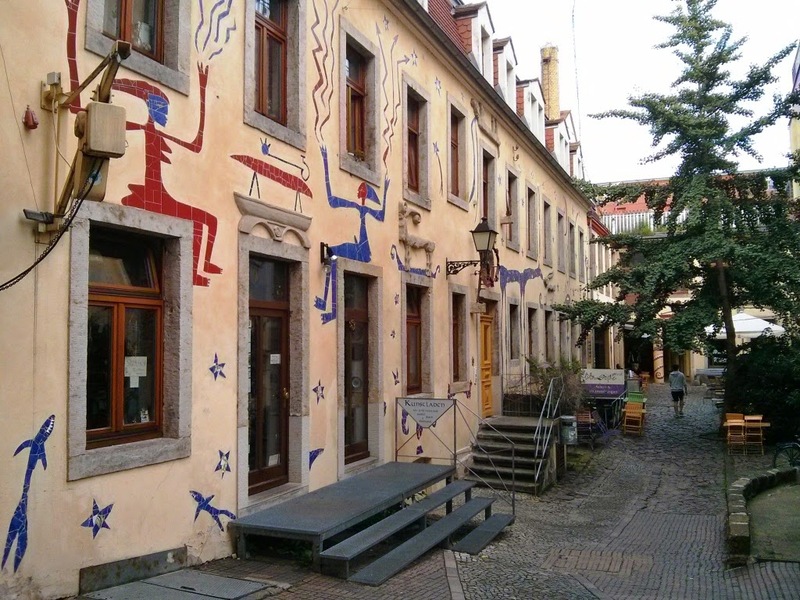 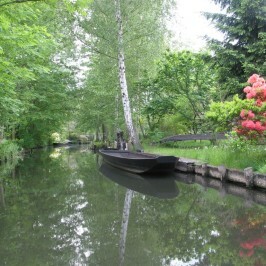 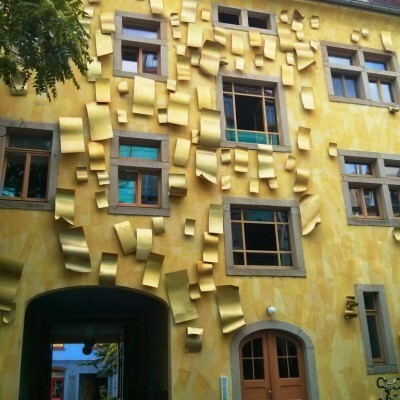 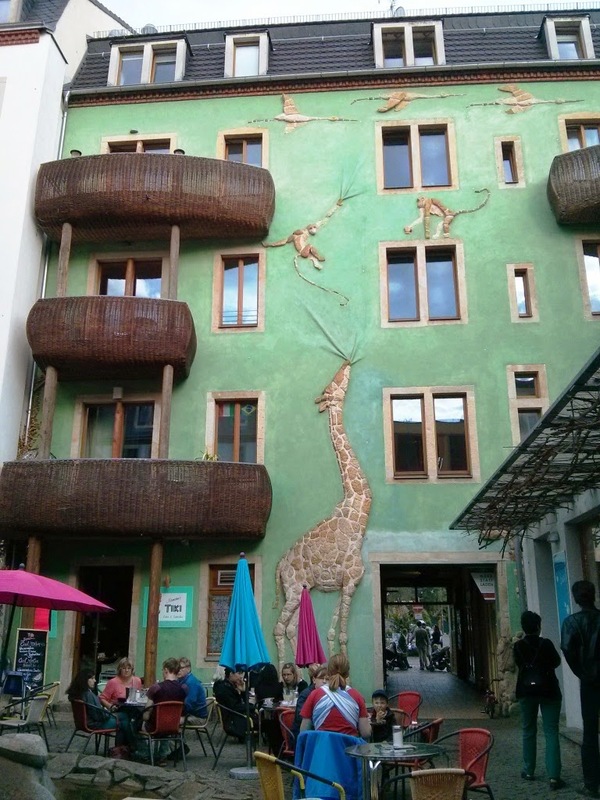 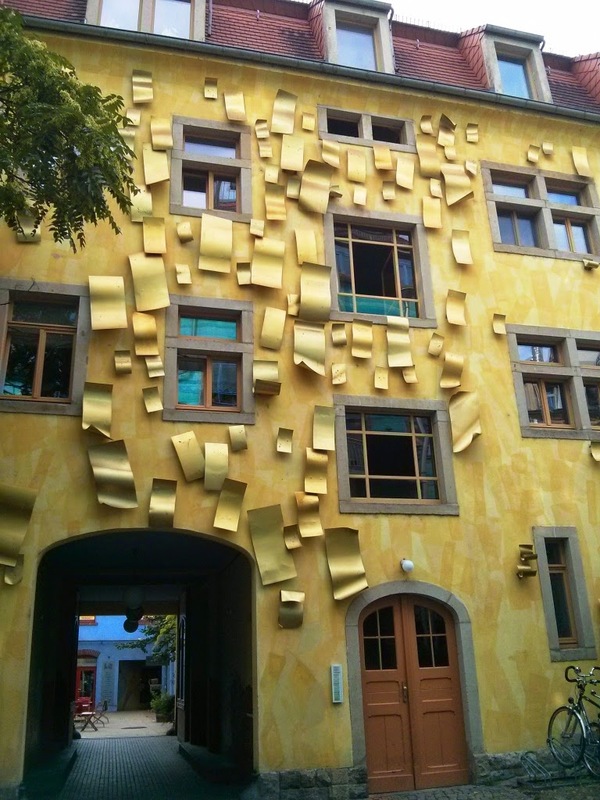 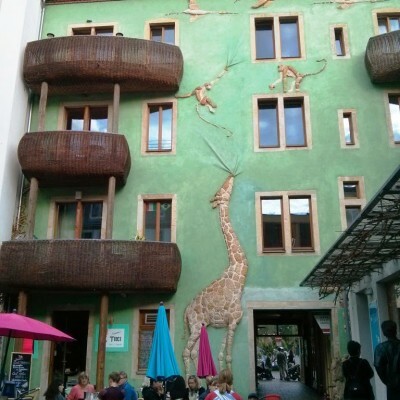 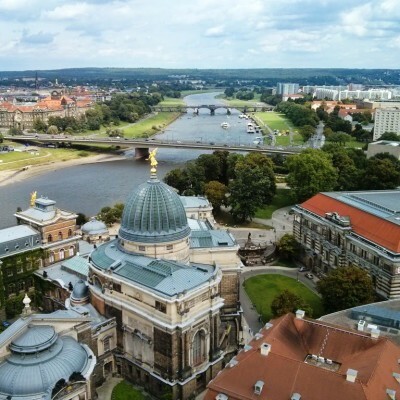 It is located in a picturesque area – in the valley of river Elbe which divides the city into two parts. 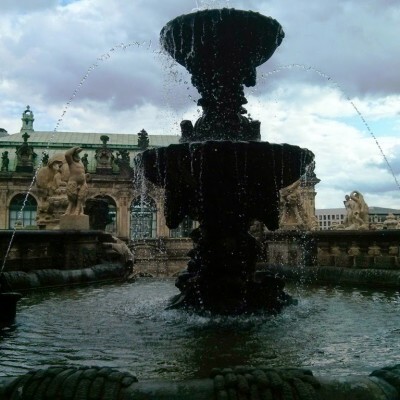 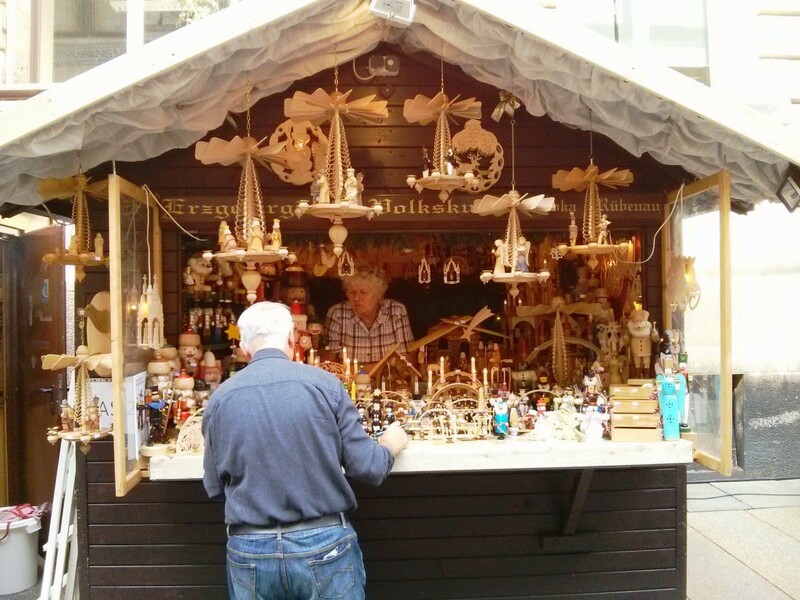 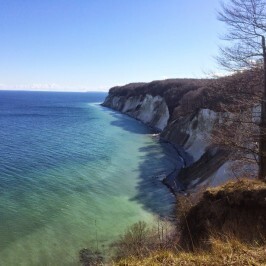 It is also surrounded by mountains – from the south by Ore Mountains, and from the east by Elbe sandstone mountains. 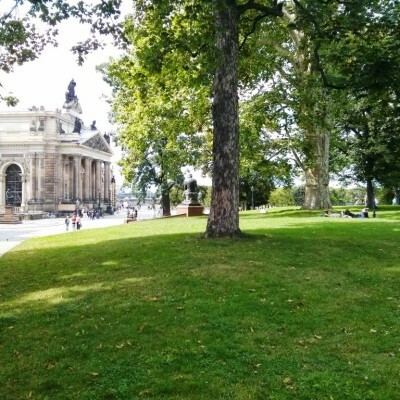 Taking into account that Berlin is strikingly flat, there is a hope that some day a post about a trip to one of these mountain ranges might appear in this blog. 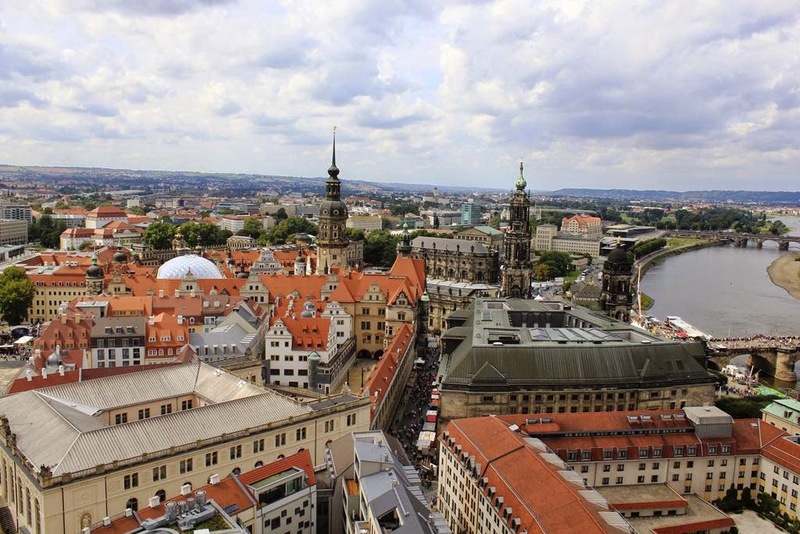 Dresden is a capital city of the Free State of Saxony, located in a close proximity to Czech border and has a population of 780 thousand inhabitants. 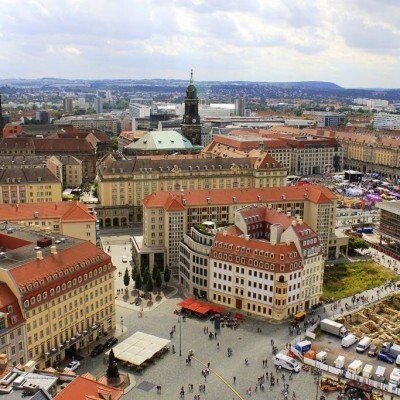 The city centre was practically almost destroyed during World War II, this has affected its today image and architecture style. 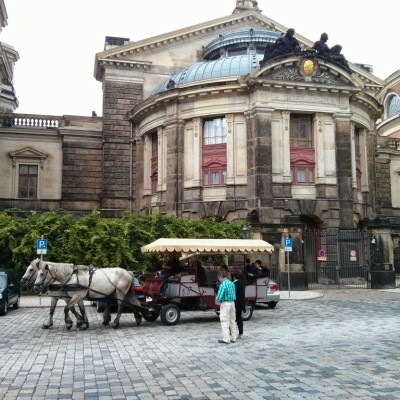 Nonetheless the city was rebuilt with efforts of its beloved citizens and now crowds of tourist can contemplate its beauty. 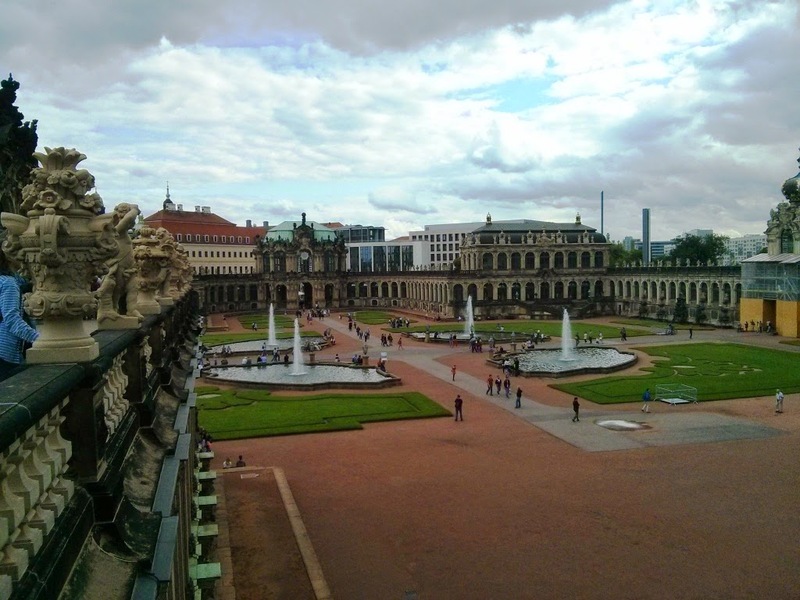 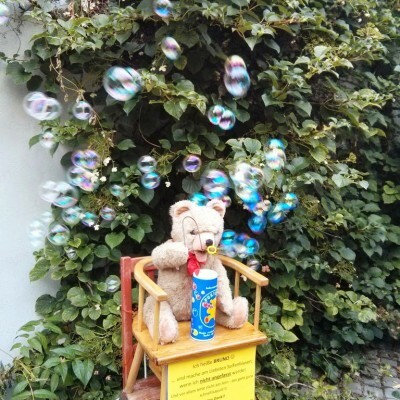 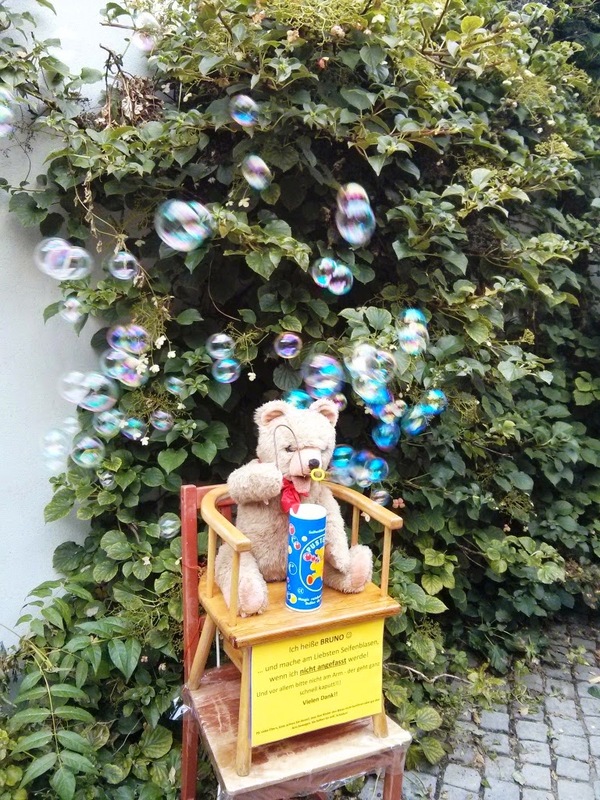 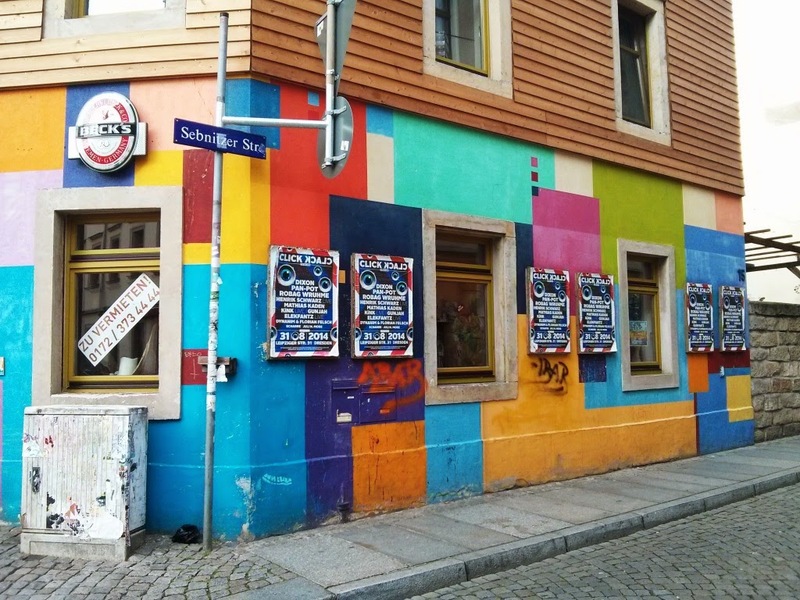 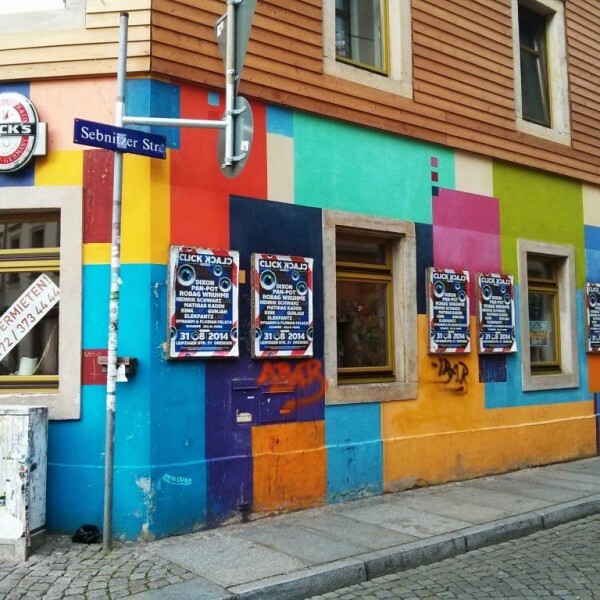 How to get to Dresden from Berlin. 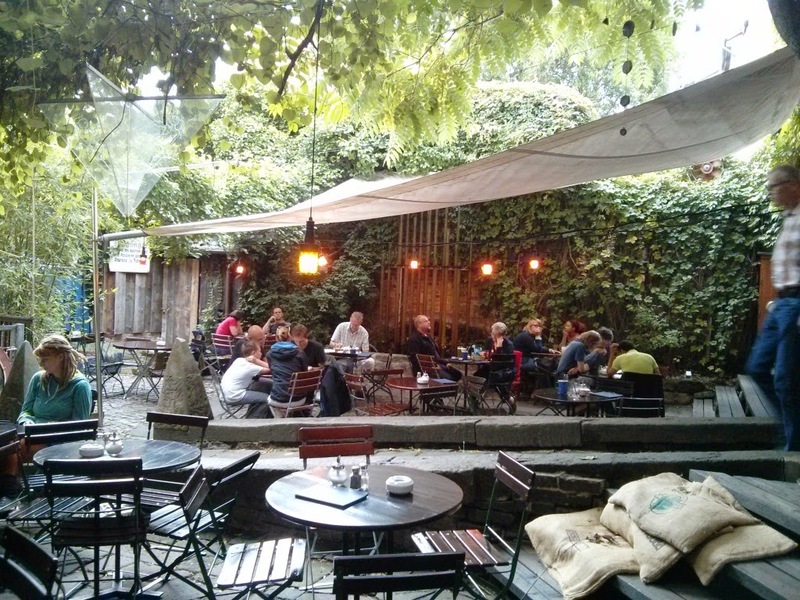 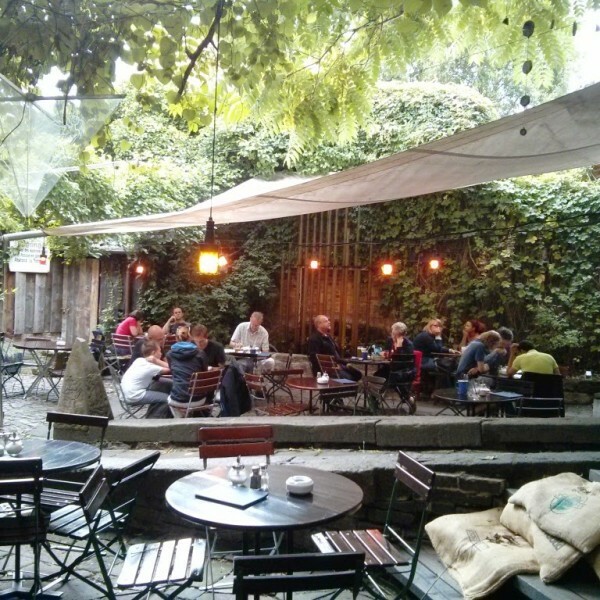 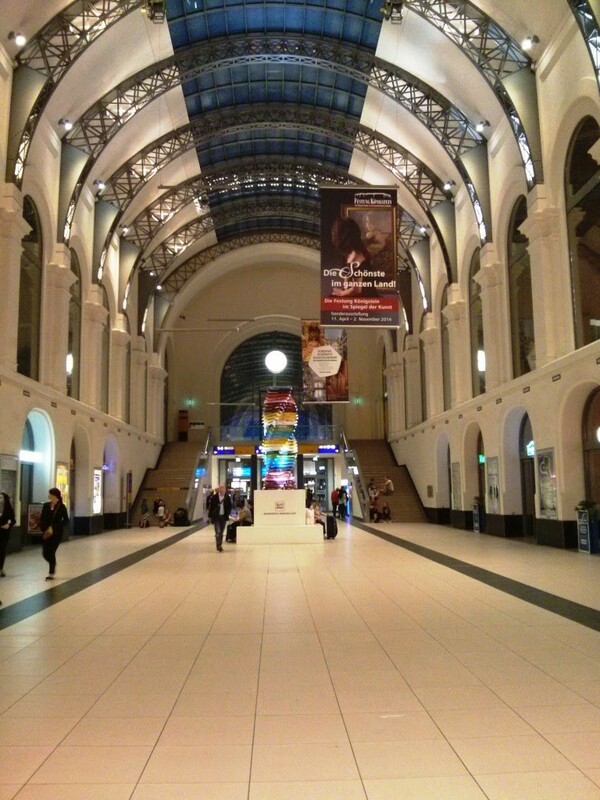 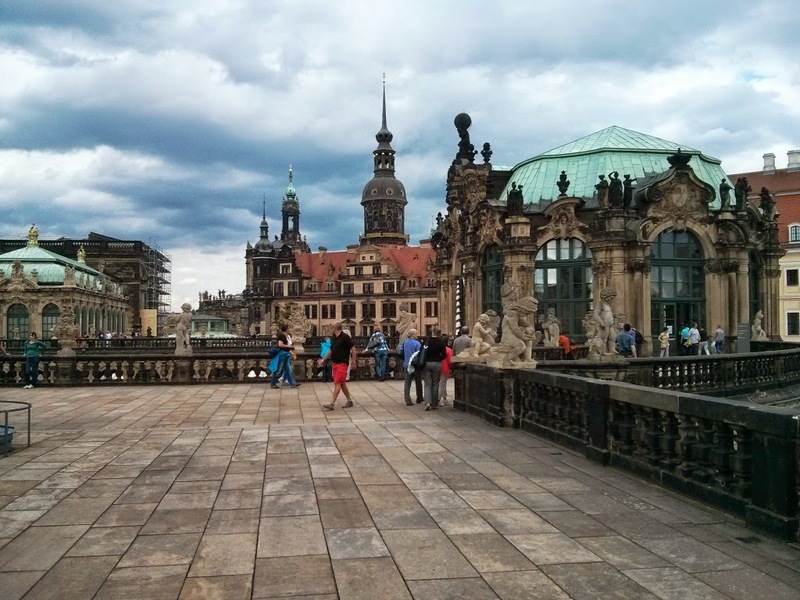 The city is located 2,5 hours ride from Berlin and you can easily reach it by bus or a train. 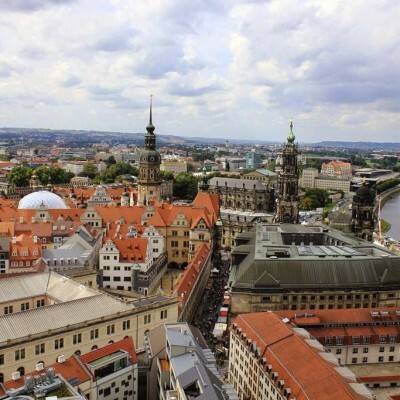 This fact makes Dresden a perfect destination for a weekend or even a one-day trip. 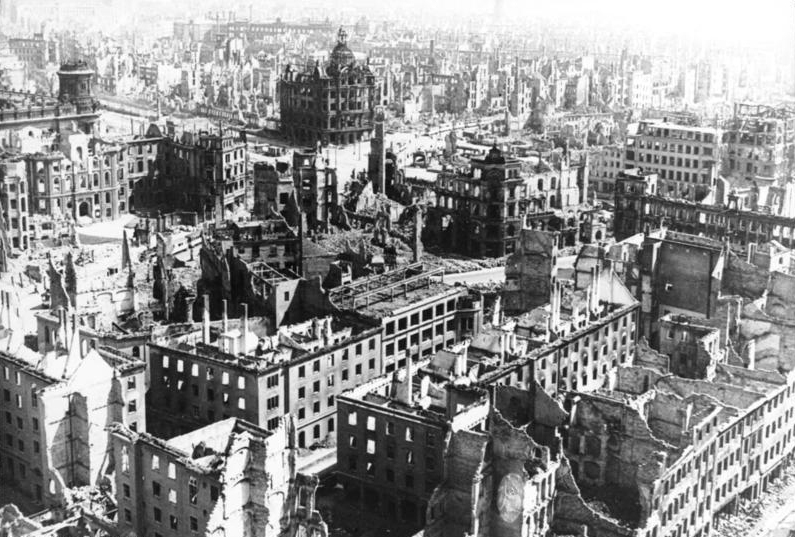 Some say that Dresden is not attractive as over 90 percent of the city center was destroyed during bombings. 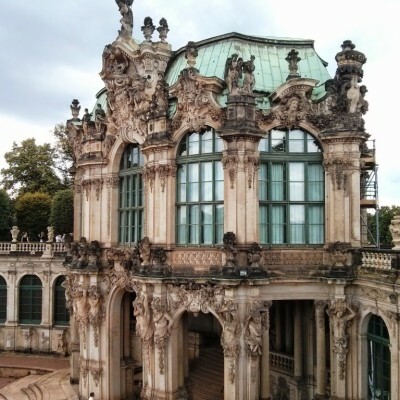 It should be mentioned that Dresden has never had any war industry production within the city and the necessity of this action, which happened in the end of the war in 1945 is largely disputed by historians. 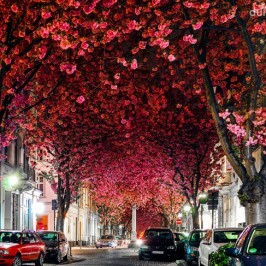 We cannot agree to the fact that city is not attractive. 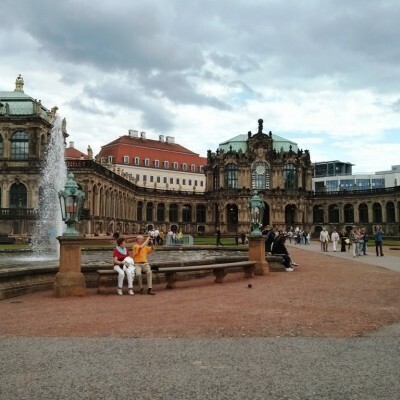 Indeed, Dresden’s architecture is a mixture of modern buildings and rebuilt historic center but it could be found charming. 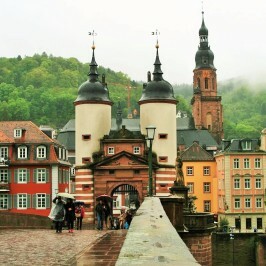 Enormous efforts were put to restore the historic center and we shall point out some facts later about that. 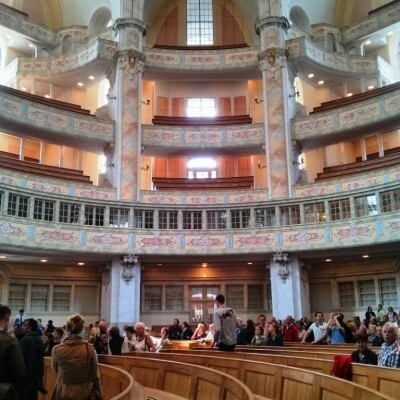 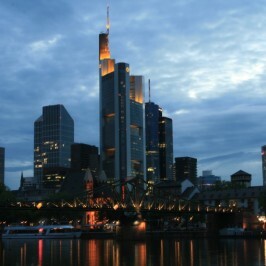 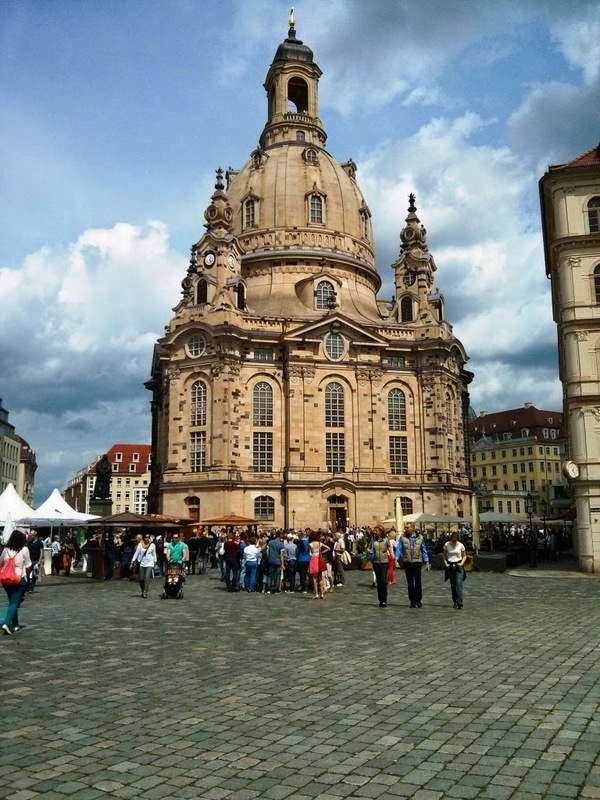 The symbol of the city is its famous church – Frauenkirche, which was totally destroyed by bombings. 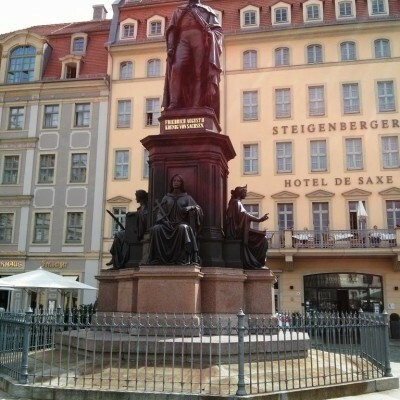 It was erected in 18th century as a Lutheran (Protestant) parish church by the citizenry and the construction was supported by Saxony’s Prince-elector, Frederick August I. 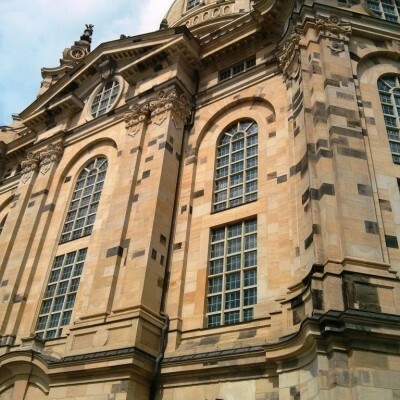 Notably that church was fully rebuilt in 2005, mostly with private donations and even contains pieces of original sandstone on facade, which blacked through years. 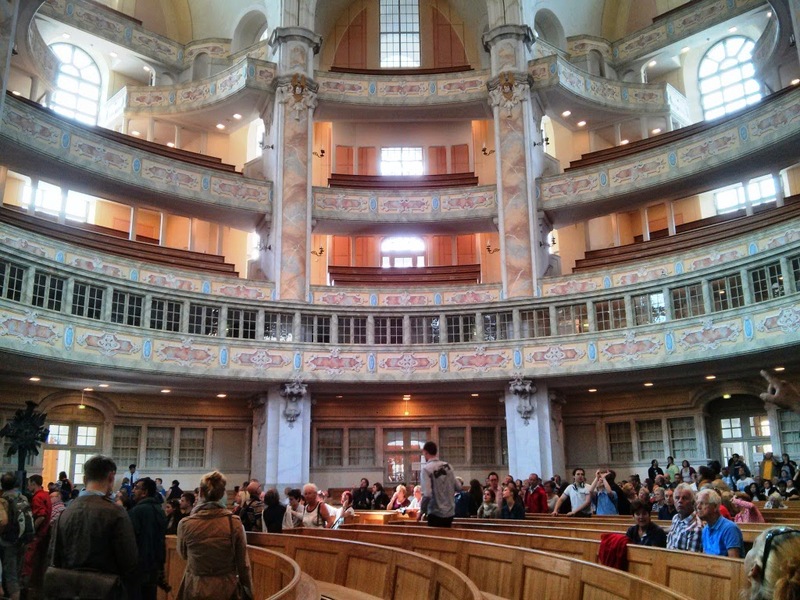 Some history – in 1843 Richard Wagner conducted here his first performance of the Biblical scene “The Feast of Pentecost”. 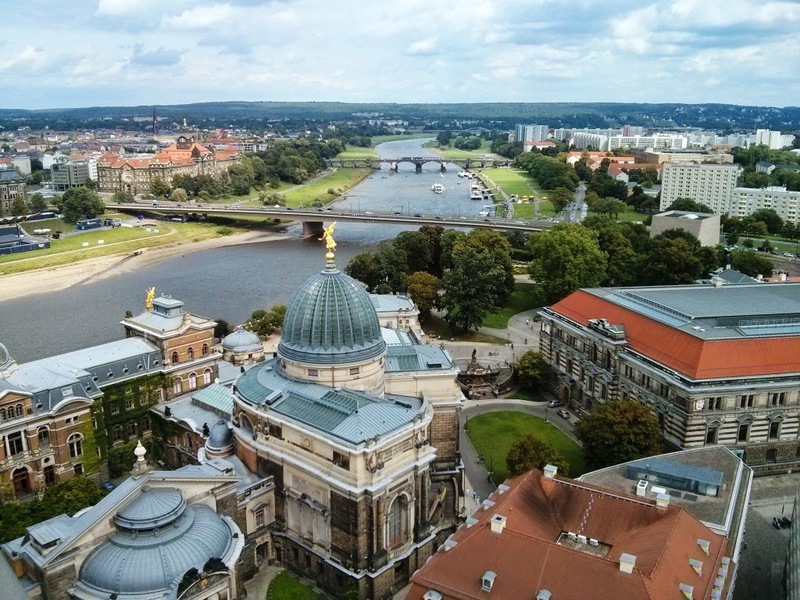 The great opportunity awaits for tourist willing to see the city from the viewing platform of the church. 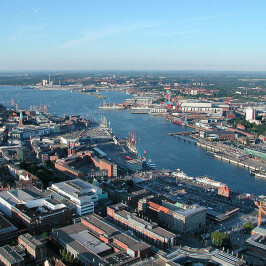 After surmounting 263 steps (127 if using lift) you can reach the viewing platform which is 67 meters high. 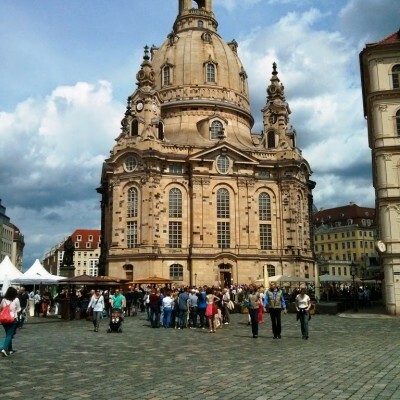 However, the total altitude of the church with a dome and a cross is estimated as 91 meters. 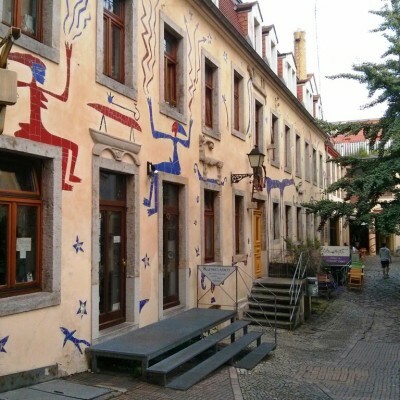 In the cellar of the church you can find a small exhibition about the history of its renovation. 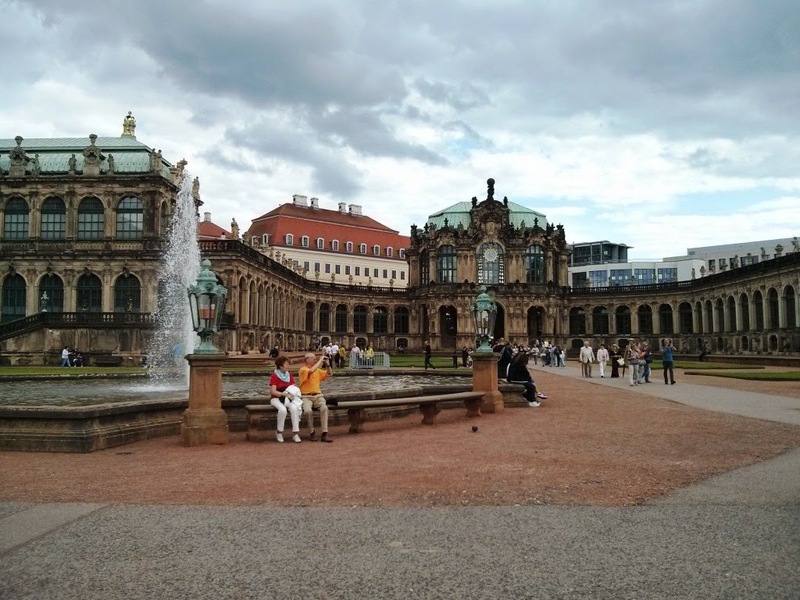 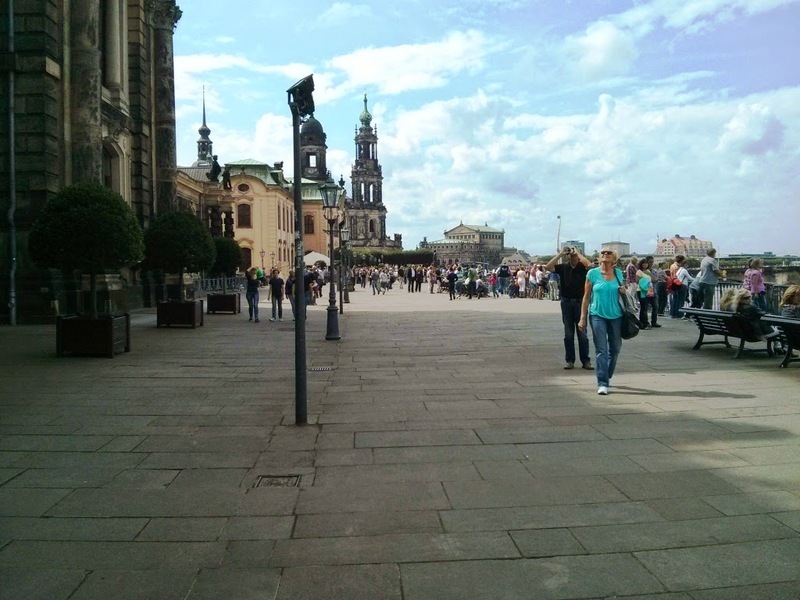 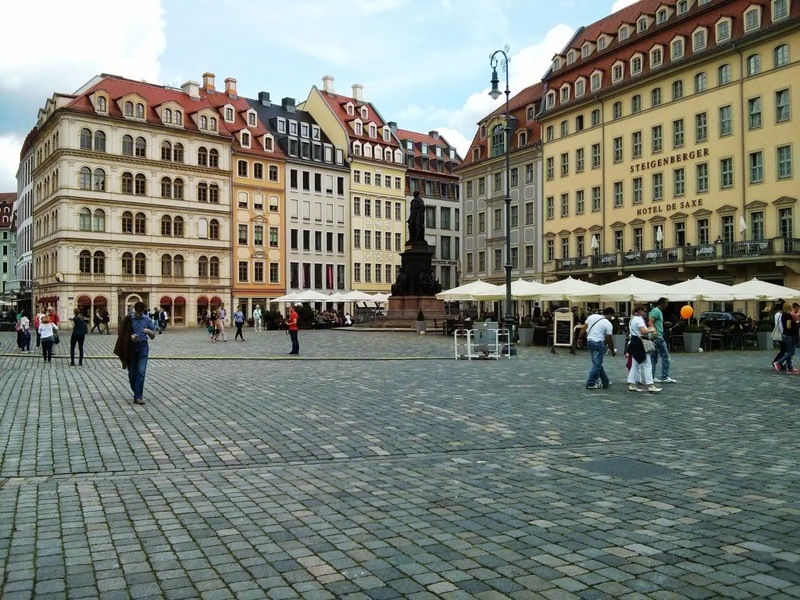 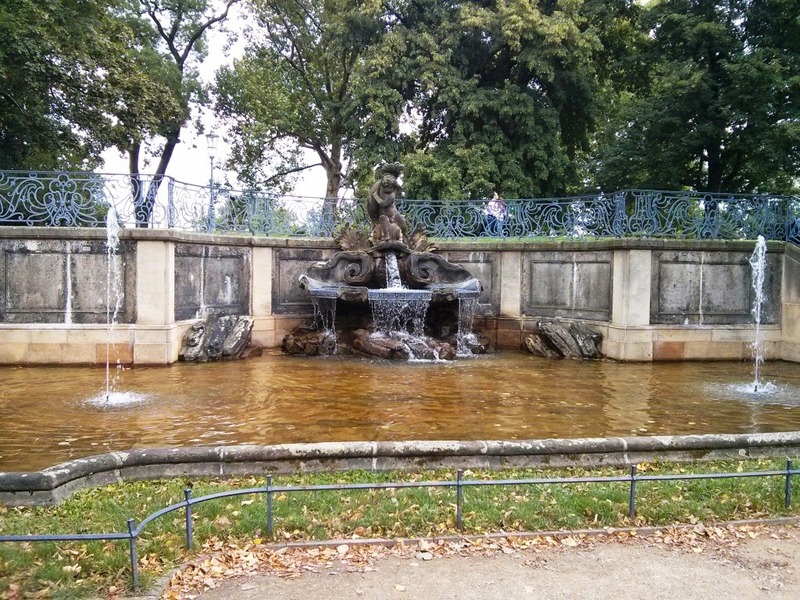 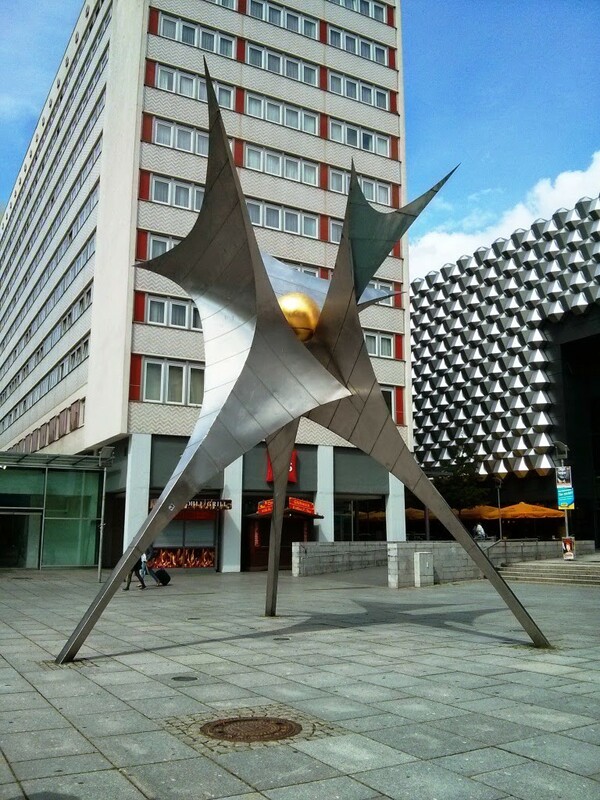 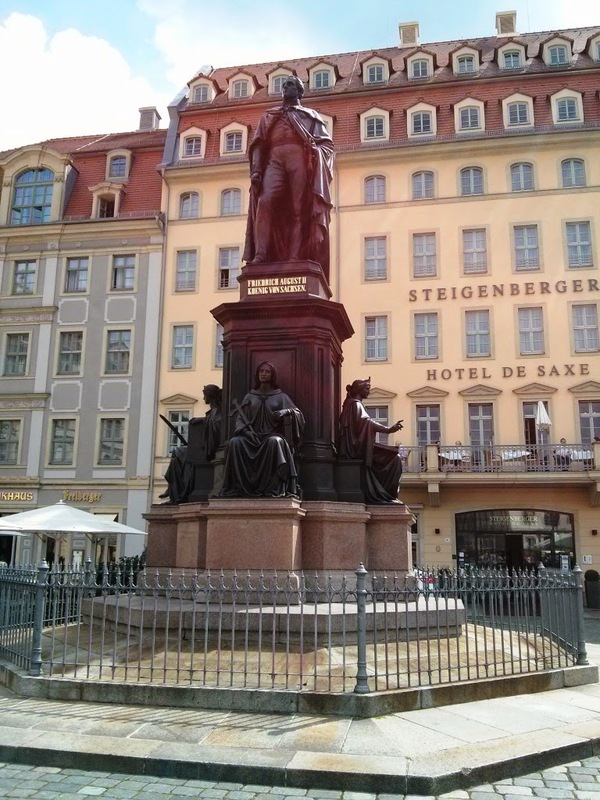 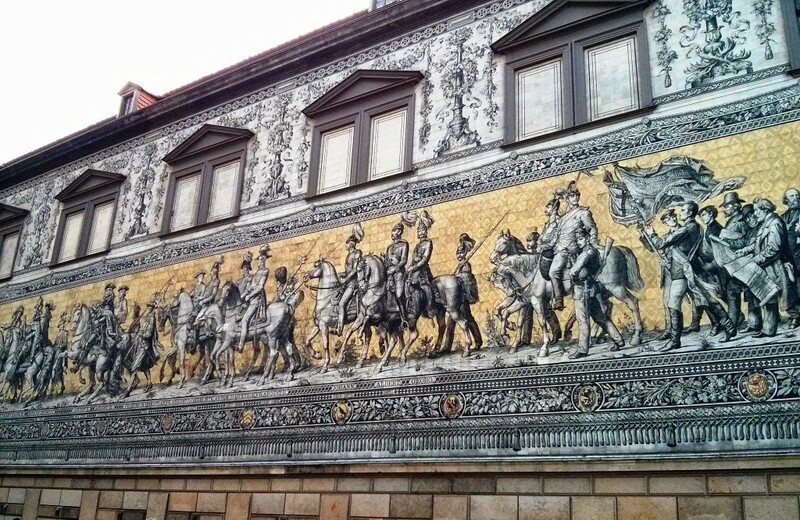 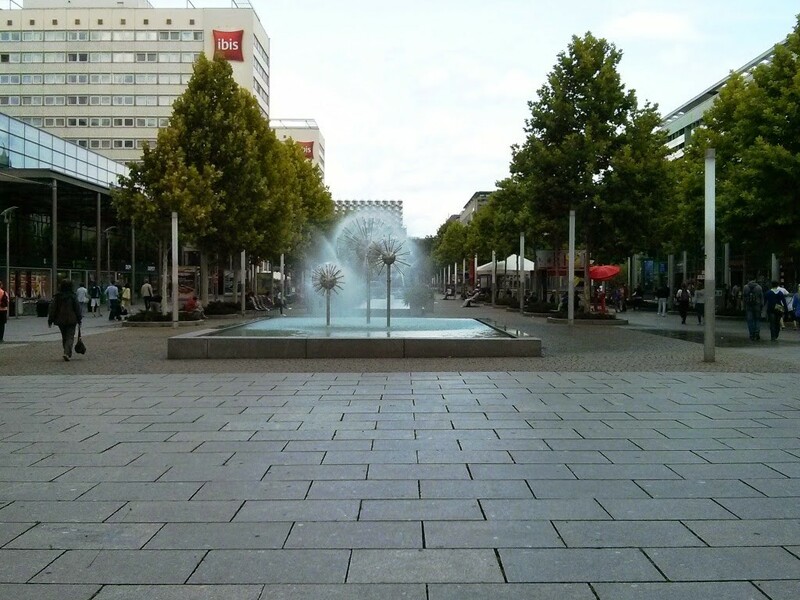 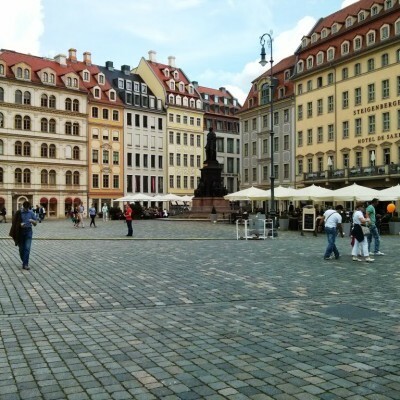 Here follows more photos of the Dresden’s center, so you can form your own opinion about its attractiveness. 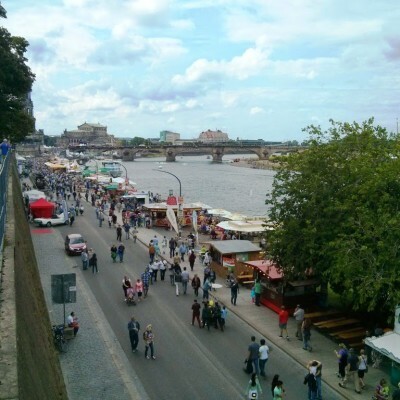 On arriving in Dresden we have discovered that city was holding the Stadtfestival – the city festival which attracted masses of tourists. 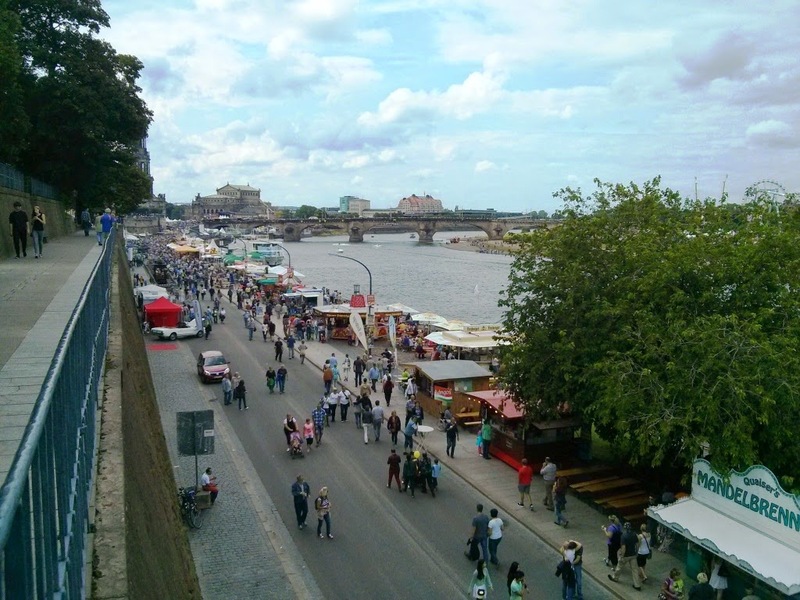 Street food stalls, music concerts, film demonstrations, medieval festival and other events have made the city very lively and full of energy on this day. 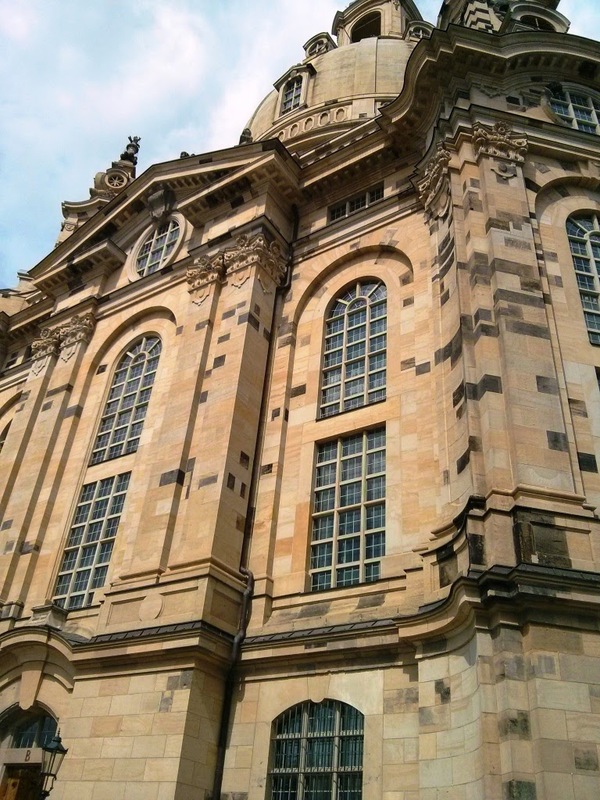 The Hofkirche also stands as one of Dresden’s landmarks – it was a church of the royal household. 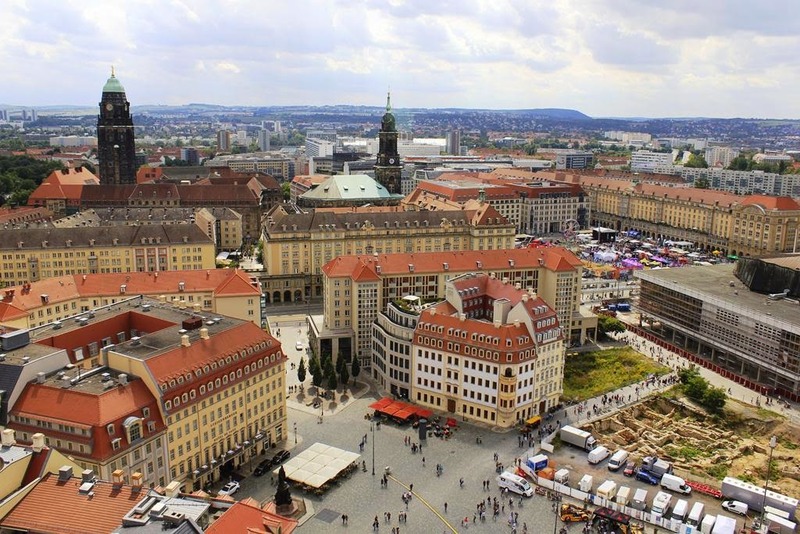 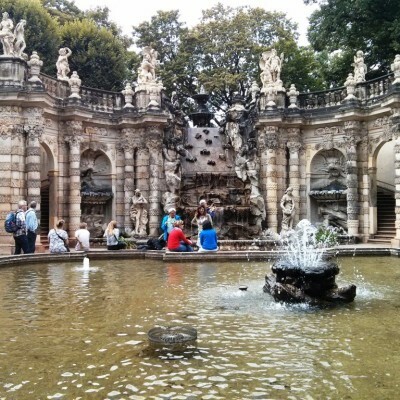 Designed by architect Gaetano Chiaveri from 1738 to 1751 and was also seriously damaged by bombings but restored in 1980’s by Eastern German Government. 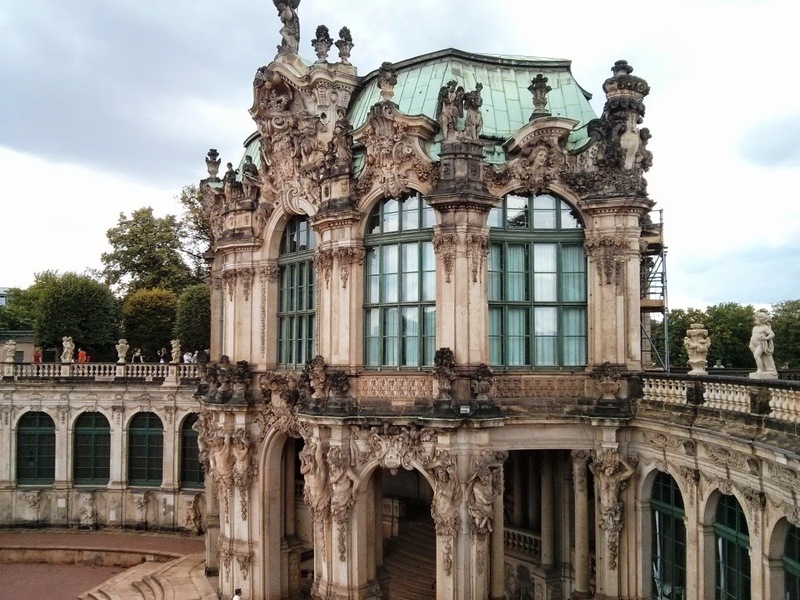 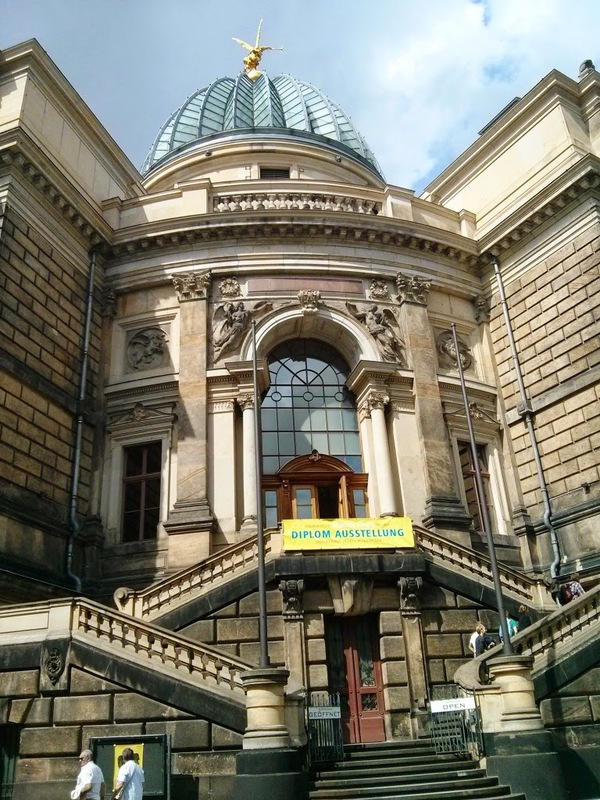 The palace designed in rococo style served as orangery, exhibition gallery and festival arena of the Dresden Court. 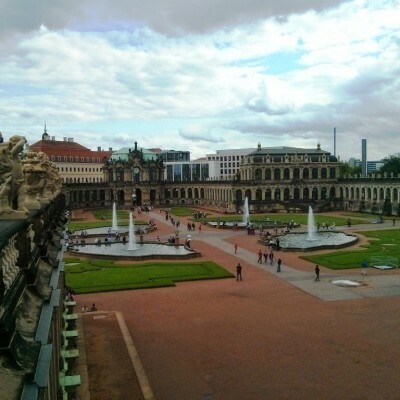 The name derives from the German word Zwinger (outer ward of a concentric castle); it was for the cannons that were placed between the outer wall and the major wall. 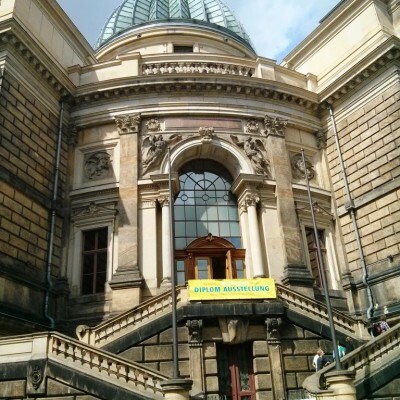 Now it incorporates the Porcelain museum, Old Masters Picture Gallery and Royal Cabinet of Mathematical and Physical Instruments. 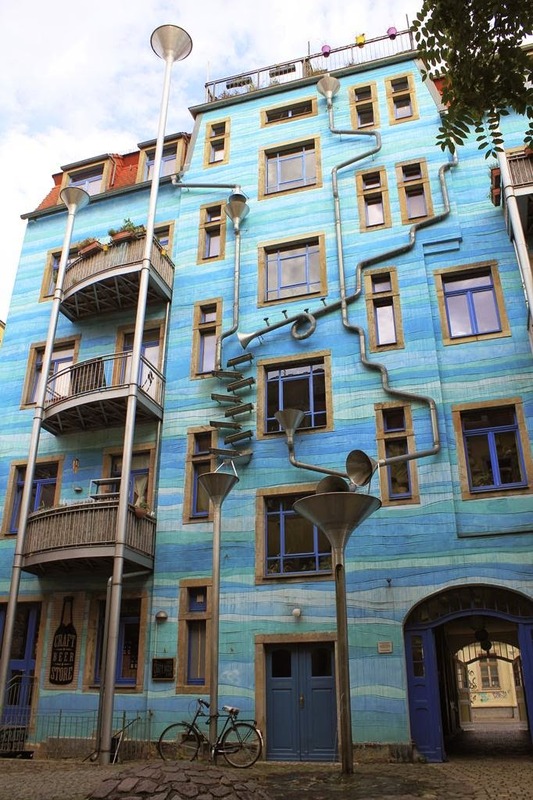 It is said that when it rains, pipes are producing unique music. 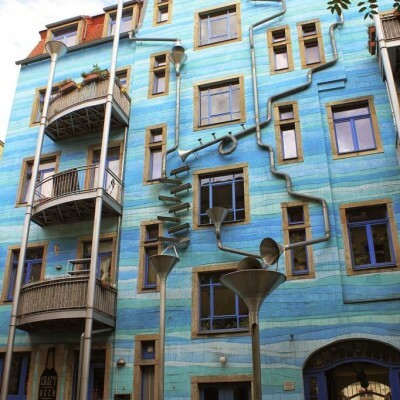 We were wondering how residents are able to sleep during heavy rain. 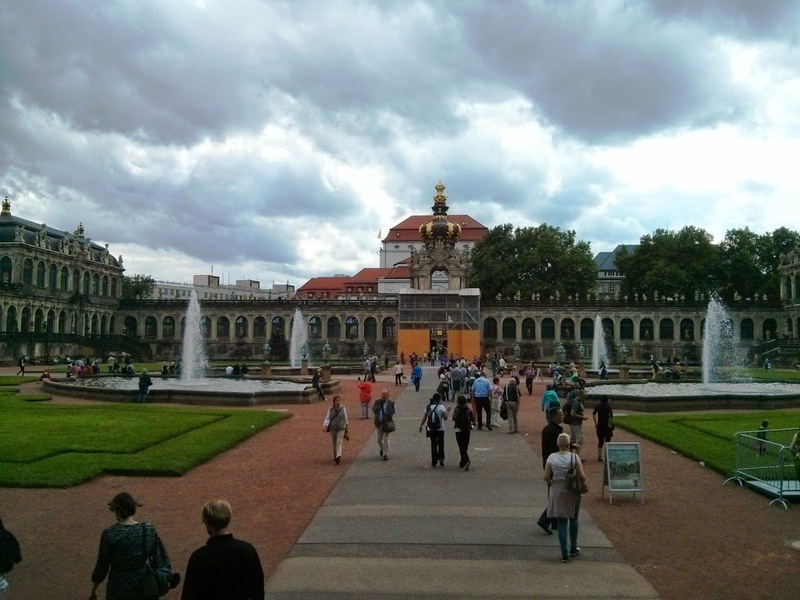 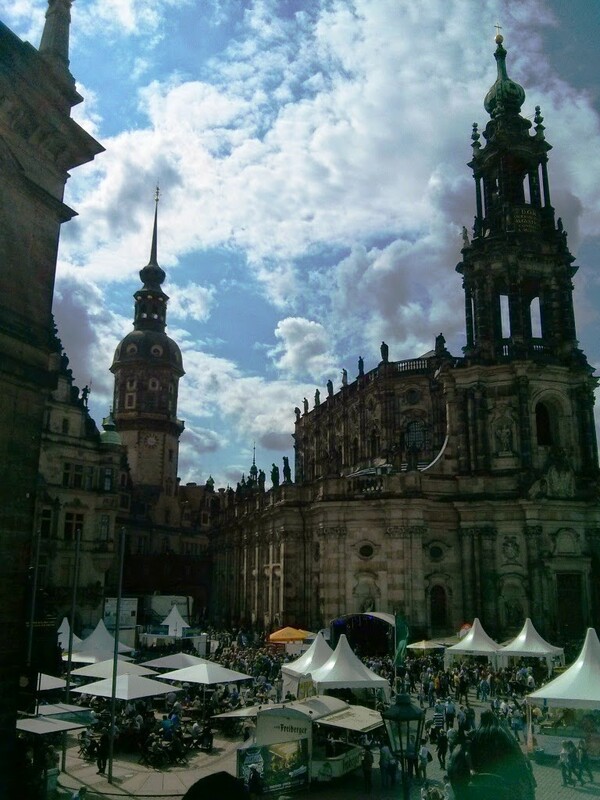 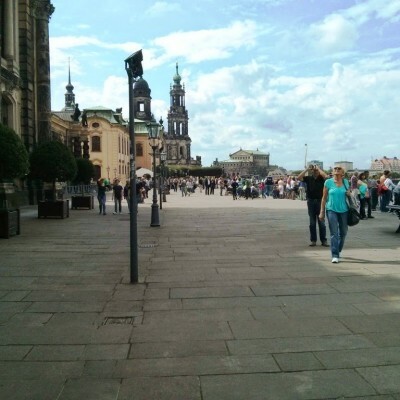 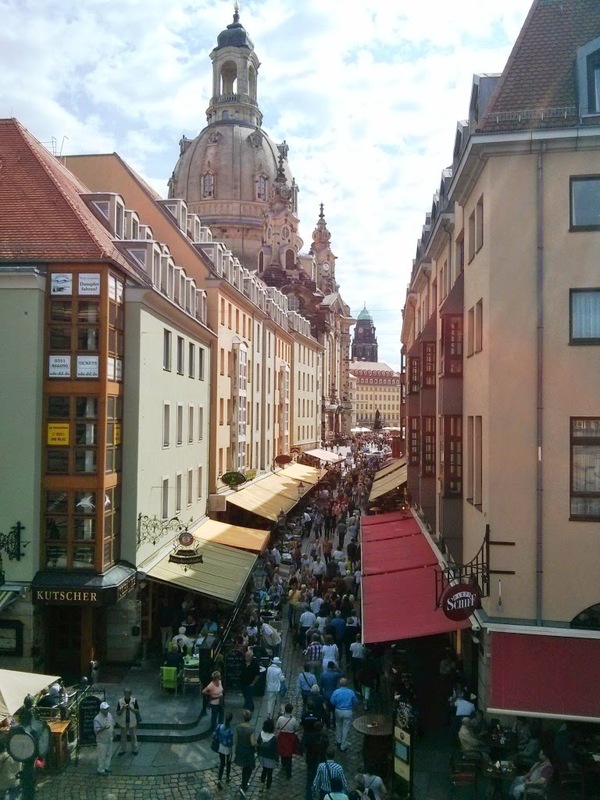 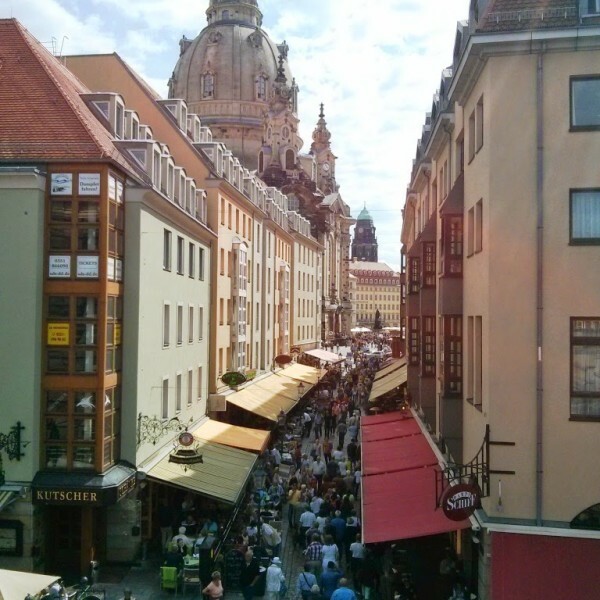 So if you are planning a trip for a weekend it is highly advisable to visit Dresden. 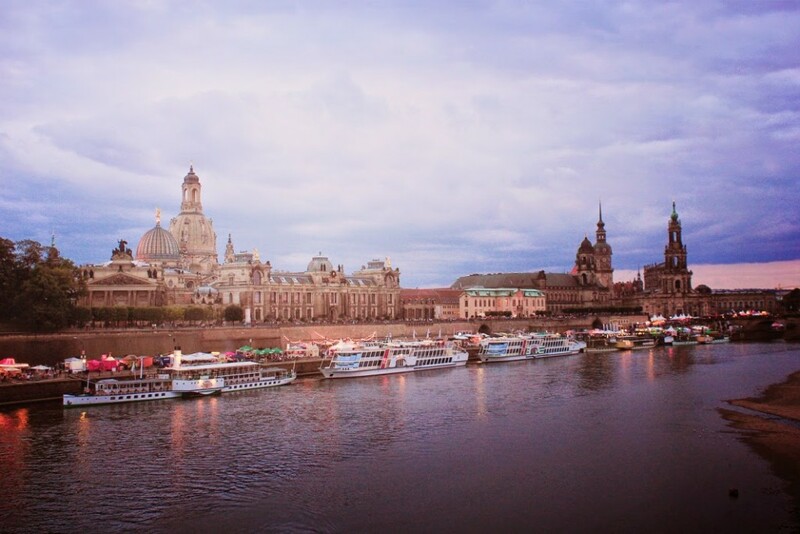 I guess everybody can find something special in this city – its style, architecture, sun dusk on the bridge or a nice view of a Dresden in the night from the banks of the river.